Modern society is hard to imagine without mobile phones. This electronic device is firmly established in our life, in many ways it is easier. Every year, manufacturers are trying to improve the phone models, adding new features and capabilities and, of course, expanding the range of convenient and beautiful accessories for them. For example, in order to protect the screen and the phone case from mechanical damage (scratches, splits when falling, etc. ), many consumers acquire additional protection means – covers and protective glasses. The range of covers is widely presented both in mobile phone stores, online stores and on websites. But almost all models largely copy each other. For those who want to stand out from the crowd and remain always and in everything original, we suggest making a case on the phone with their own hands. To make an original and stylish accessory from threads, you can use the master classes of varying degrees of difficulty suggested in this article. Very often, after knitting large items (clothes, pillows, blankets and other things), there remains a little yarn that should not be thrown away. 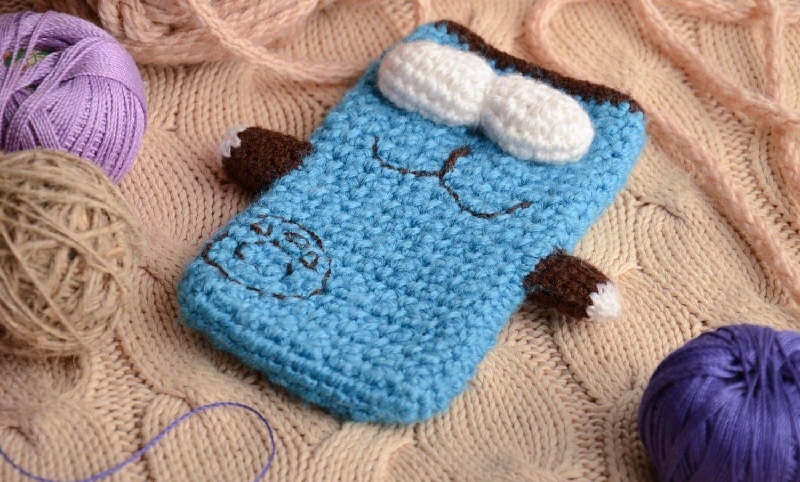 It is from the remnants of thread that we propose to tie a beautiful gentle case for a mobile phone. Because of the knitted pattern, the finished product is more suitable for use by girls. Dial a chain of air loops in accordance with the width of the phone. Note that the number of loops must be a multiple of 3. According to the scheme, dial 9 air and additionally 1 lift loop. 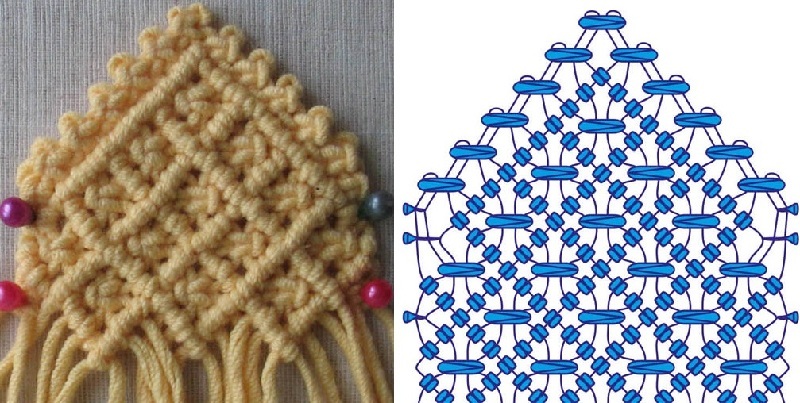 Then, in the second loop, knit 3 columns without crochet (SCN), and into all the remaining loops – by 1 SCN. In the last loop of the chain, knit in the same way as 3 sc. Turn the work and knit 1 sc in the middle loops. Connect to the lifting loop. During work, try on the part on the phone to navigate with the height of the cover. You can finish the work by completing the next circular row or by tying the lace edge from above. Tie the top edge of the cover with white yarn. For the tie, tie a chain of 120 air loops. Thread the resulting cord through the lace trim and tighten slightly. Tie a flower as a cover decoration. Sew it on the bottom of the product, and glue the bead in the middle. An open case is ready! You can try it on your mobile phone and surprise your friends with your creative skills. 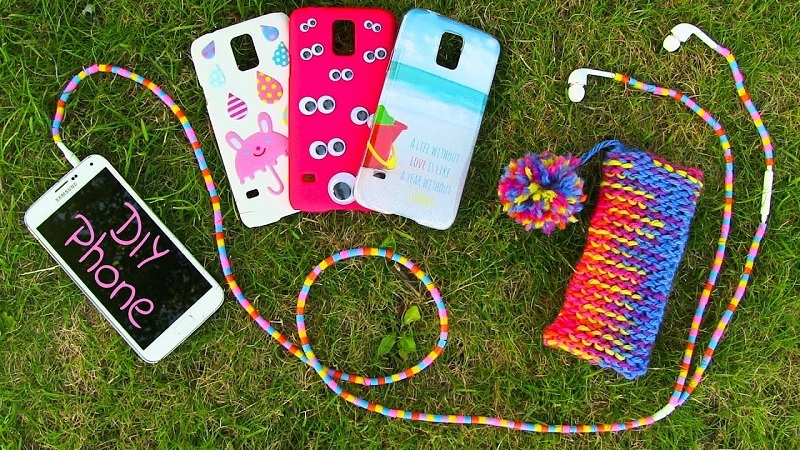 For easy storage of mobile phones, tie a bright beautiful handbag in the form of a funny little animal or a cartoon character to school children. For the young lady, we offer to make a case in the form of a mouse. 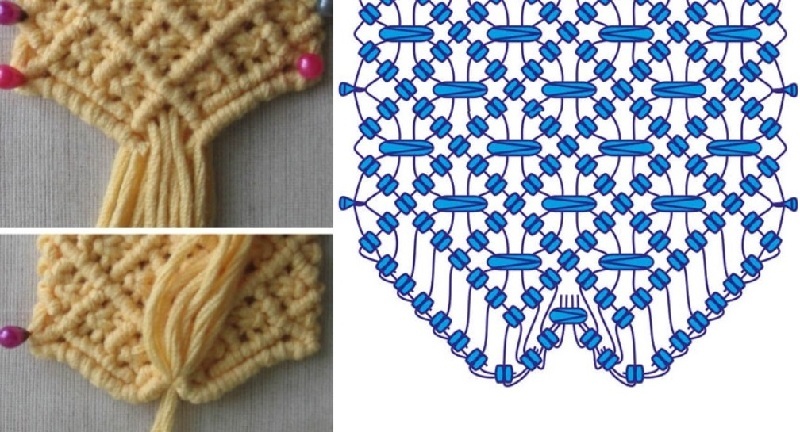 The basis of the cover is knitted with single crochets (CCH), separate parts (parts of the muzzle, legs) – with single crochets (SCN). Tie a chain of air loops equal to the width of the mobile. For example, in this case, it is 7 air. Tie back the main chain on both sides with double crochets, tying the first and last loops of the chain of 5 CCH each. Tying a chain around the circle, connect to the beginning of the strapping. Next, continue to knit in a circle, without changing the number of loops. Each time at the beginning of the next row, knit 3 airlift loops. 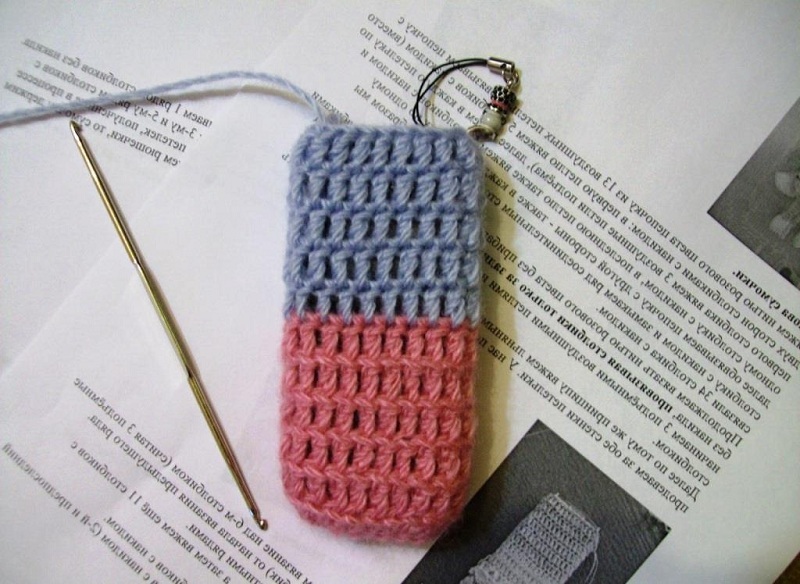 After knitting to the middle of the height of the mobile (try on each time the blanket cover to the phone), change the color of the thread and continue to knit, without changing the scheme, with single crochets. For vyvyazyvaniya lid continue to work straight and reverse knitting with a twist. In each subsequent row, reduce the number of loops by 1 from both sides. It looks like this: 7 loops – 5 – 3. When you have 3 working loops, tie a chain of 5 air loops and fold it into a ring. Fasten over the last loop. Tie the loose edges of the workpiece and secure the thread. Pink threads to the 3rd and 5th rows tie the ruffles of the skirt. During the vyvyazyvaniya ryush hold cover, turning the upper part towards you. 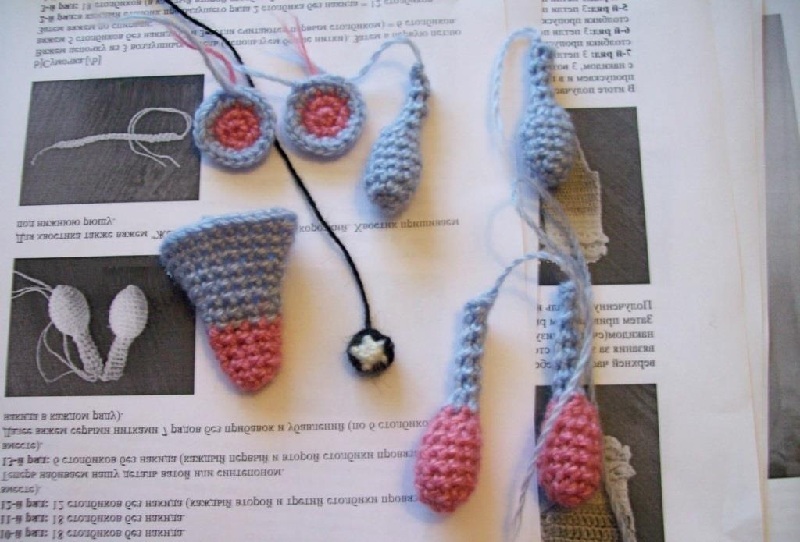 The next step is to tie the small details of the face (with crochets): a cone-shaped nose and round ears (2 pieces). Sew the parts from the back of the closing lid. Pair up the details of the legs (lower with two colors and upper with one color). Sew on the legs on the sides. Sew a button on the back of the case. It remains only to make the final touches: glue the eyes, sew a tail, tied from 25-30 air loops and sew a long rope so that you can wear a cover around your neck (adjust the length of the rope according to the height of the child). The cover in the form of a funny little mouse will please and surprise any baby. Moreover, a beautiful accessory will not only protect your mobile but will also be very convenient to use during your walks (the phone will always be at hand, will not be lost and will not be broken). Bright handbags and covers in the form of funny little people and funny little animals will cheer up even the most serious mobile phone owner. 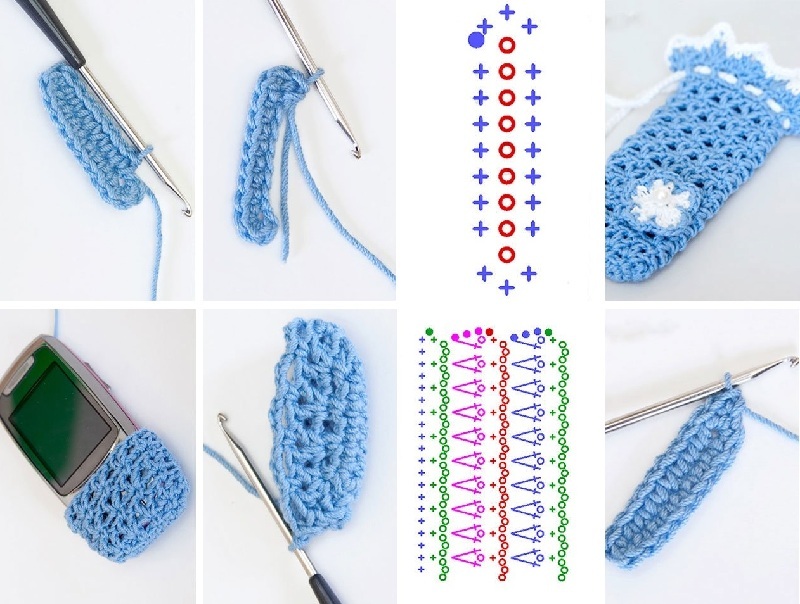 You can link a positive accessory, focusing on the step-by-step description of knitting the basics from previous master classes. But the idea of decorating the resulting cover, you can peek into the gallery of finished works of authorship. 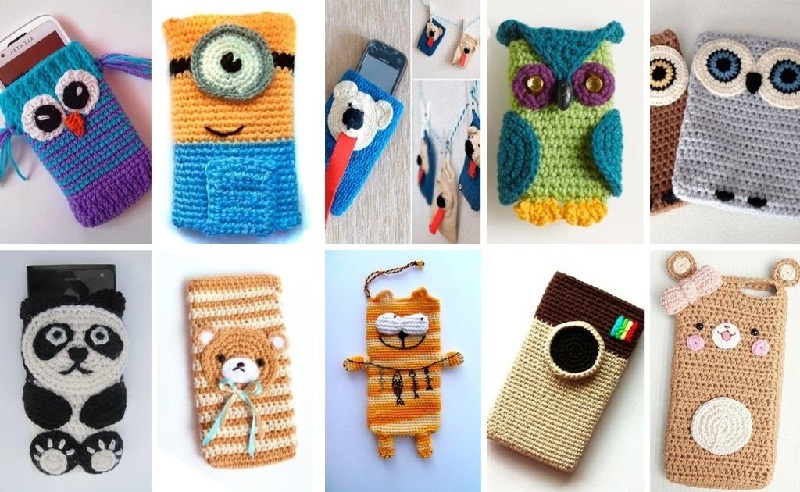 Those who own at least the basics of macrame weaving technology, it is not difficult to weave an original accessory for a mobile phone. A distinctive feature of this product is not only its direct functionality (saving the phone) but also the ability to give an image charm and romantic refinement. It is convenient to use such a woven case during walks and travels when you do not want to take large bags and backpacks with you, but always stay in touch. The work does not require anything except threads for weaving and some free time. Prepare 12 five-meter cords and take some safety pins for convenience. Rep knot, knitted in two directions (right to left and left to right). Square knot (locks on the left and on the right). Knots in tatting technique (right and left weaving). Start weaving with a square knot. With each new row from the corner, enter the worker threads. 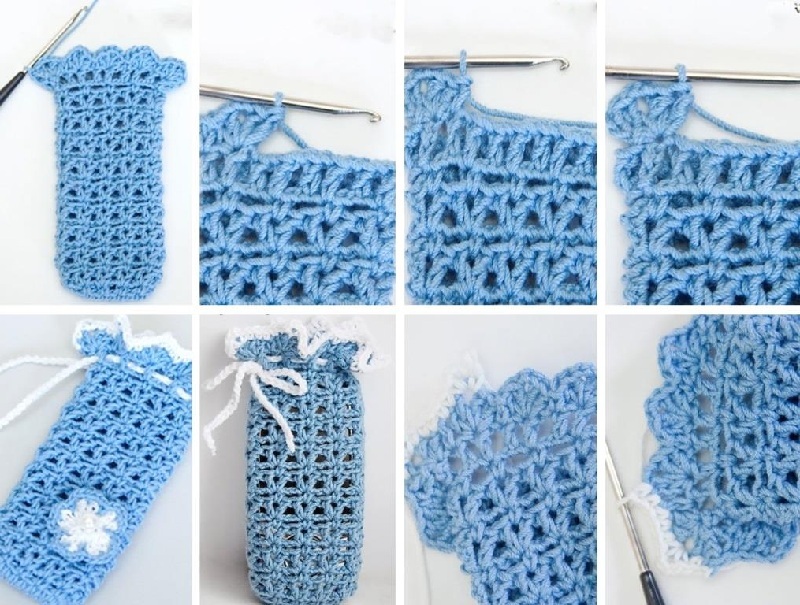 After all, threads will be involved in the work, add tatting knots at the edges. To make the picture clearer and neater, fix the nodules with pins. Continue weaving a flat strip to a level that is twice as long as the length of the phone body. Finish the bottom edge of the strip according to the scheme. The photo shows that the last square knot should be tied, turning the work on the wrong side. Cut the ends of the working thread and pass into the knots from the seamy side. When the base of the cover is woven, you can take up the manufacture of a long handle. If you plan to wear the case over the shoulder, the first estimate the length of the strap and measure the same length of the 2 threads that will serve as the basis. For worker threads, this will weave a twisted chain, cut 2 threads of 7.5 meters each. Fold all 4 threads in half and begin to weave a twisted chain, first from one side (30 cm), then, turning the work, weave opposite ends. With the free ends of the threads from the handle, “sew” the edges of the cover on both sides. Tip! By changing the number of nodes in the scheme, you can independently adjust the size of the finished product, increasing or decreasing it. It should be noted that the size of the handbag is directly dependent on the thickness of the working threads. A beautiful and stylish accessory will delight you and arouse admiring glances of others.